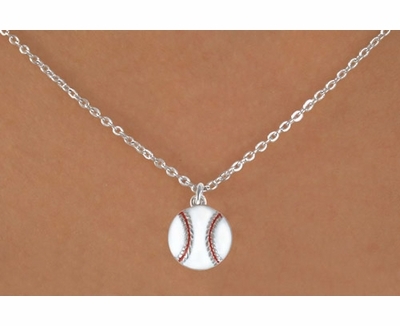 White Enamel Baseball / Softball Charm Necklaces - Softball & Baseball Jewelry, etc. This classic Baseball Charm Necklace features a round White Enamel Baseball / Softball pendant (about 1/2" Dia.) - on an 18" long Pewter Rope Chain Necklace.